Schmincke Aqua Linoprint colours are ideal for making colourful linoprints on surfaces such as paper, felt, and cardboard, but can also be used for wood engraving and material prints on cork, vulcanized rubber, or foamed polystyrene. 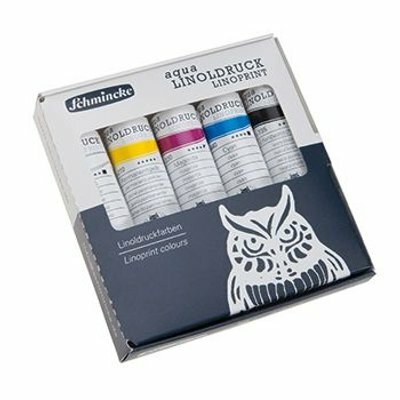 This starter set contains five water-based paints bound with natural gum Arabic. These inks never fail to yield lightfast, intense, sharp prints.